(C) The vehicle has a three man crew with all crew members having excellent functional vision. The concept features an extendible panoramic viewing device, coupled with LASER illuminator for guiding remotely launched semiactive guided missiles to an armored target. (C) The commander and gunner observer are mounted in a rotating cupola that mounts an overhead Vehicle Rapid Fire Weapons System. This location of the weapon will minimize smoke and noise inside the cupola. (C) The vehicle will be provided with a muffled 400 horsepower turbine coupled with a hydro-mechanical pivot steer transmission. At a weight of approximately 15,000 lbs, this vehicle will have a gross power to weight ratio exceedign 50 horsepower per ton. The concept is amphybious and is equipped with a water jet propulsion system. (C) The suspension must be designed so as to reduce noise and vibration to a minimum. The suspension must also provide speed capabilities up to 60 miles per hour. 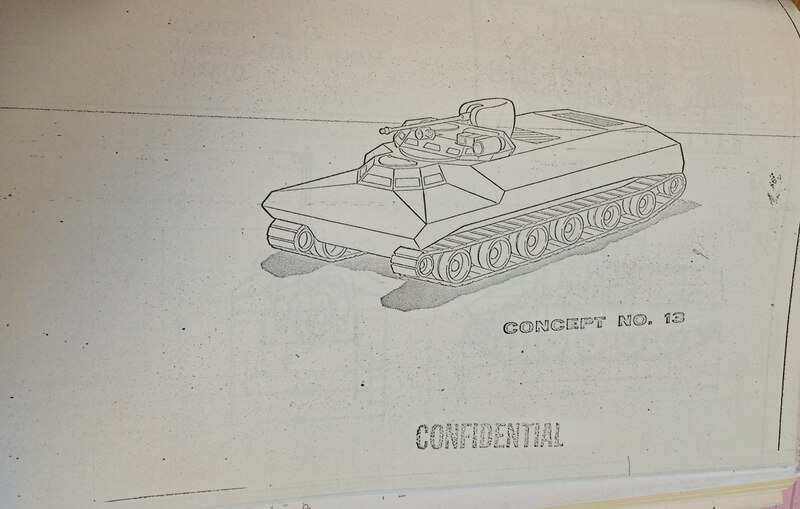 (C) The vehicle armor will provide all round protection against small arms and machine gun fire. (C) It is envisioned that future Scout vehicle must be equipped with highly advanced surveillance instrument, oncludingdirectional listening device, earth probes to detect movement of men and vehicles, air sampling and an analysis system along with night vision equipment and secure comunication systems. 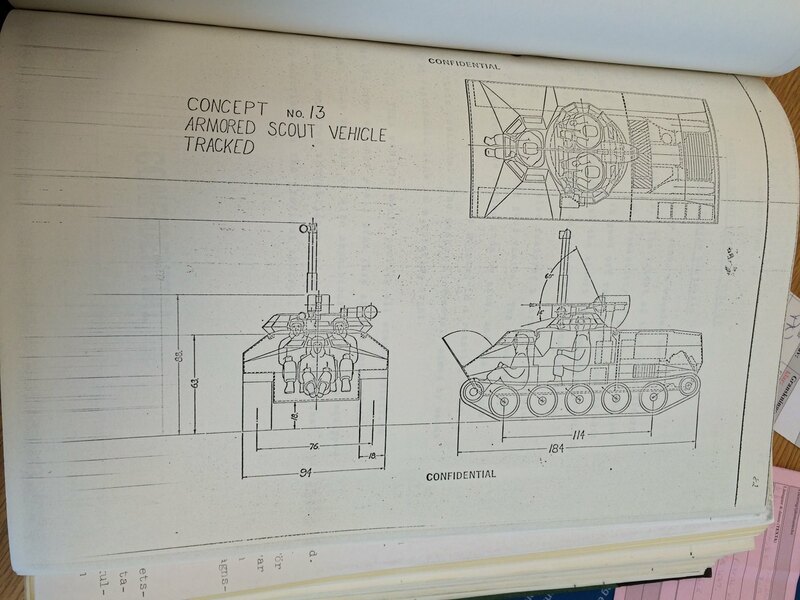 (C) The Scout vehicle of the future may be more a highly mobile laboratory than a fighting vehicle. h. High power to weight ratio. k. Advanced surveillance and detection systems. l. Low noise level power plant and suspension system.